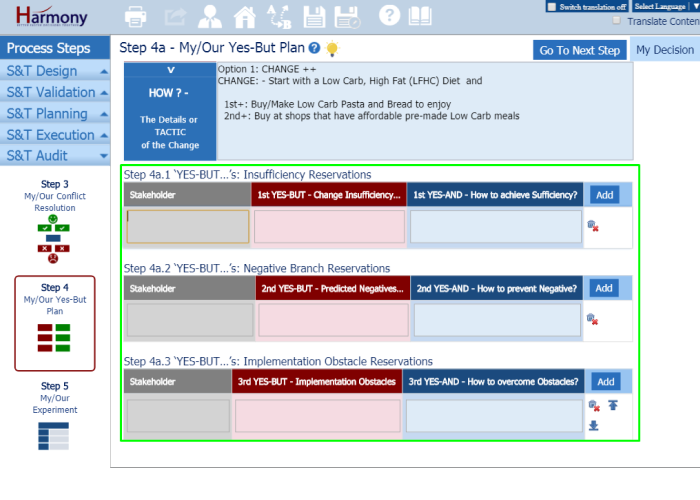 Step 4 – How to improve on resolution by listing 3 types of yes, buts and how to overcome these? 2. 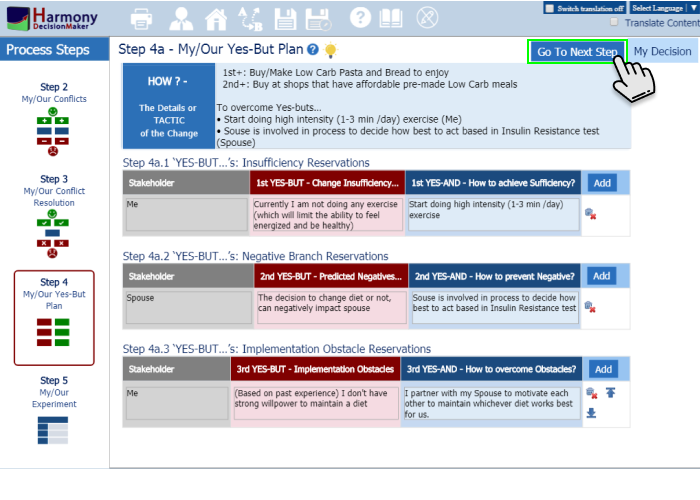 For the Option you selected to resolve your decisions, identify 3 types of Yes, buts. 1) Resolution is not sufficient to be a win for all stakeholders. 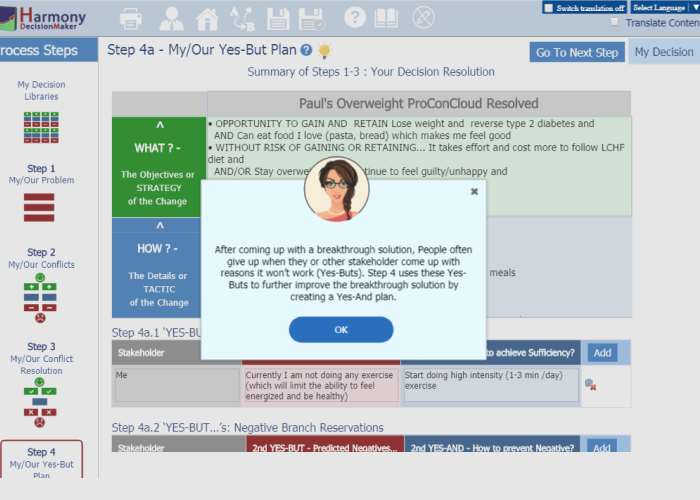 2) Resolution has potential negatives for one or more stakeholders. 3) Resolution has implementation obstacles. 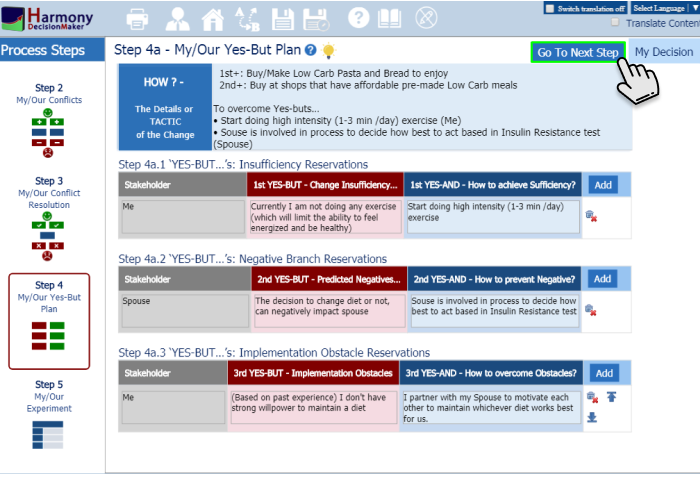 For each “Yes, but”, click on the relevant text box, enter the stakeholder that raised it, what the “Yes, but” is, and the “Yes, And” to overcome it. 3. Once completed click on GO TO NEXT STEP to move to Step 5. 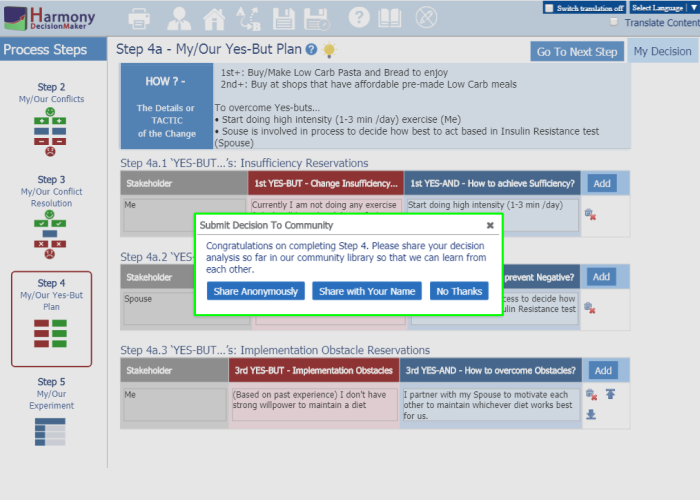 On Step 2, 3 and 4, when clicked on “Go To Next Step” Harmony will ask you to submit your decision to community library. Sharing with community decision have 2 different options, “Share Anonymously” or “Share with Your Name”. 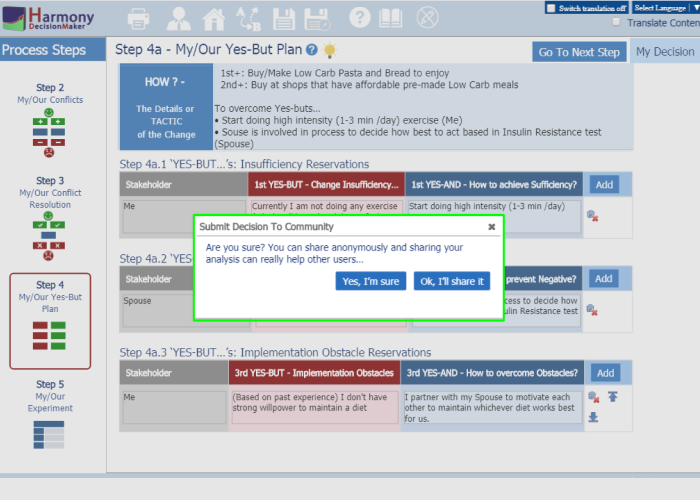 When clicked on “Share Anonymously”, Harmony will ask to confirm before sharing with community.